Reflective security vinyl window decals are available in 6 die cut shapes and screen printed using UV (Ultraviolet) inks to give your company many years of use in all types of climates without fading and are great for low light areas. These durable reflective vinyl window decals hold up well in the extreme freezing temperatures of Alaska to the Arizona desert heat. 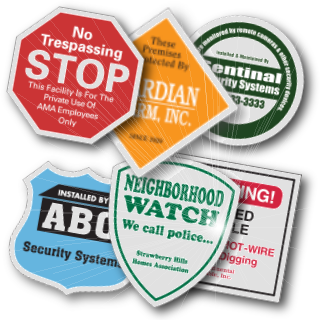 Our alarm and security company stickers are available in six popular styles and are commonly used for all types of monitoring and electronic surveillance companies. 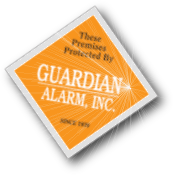 These window stickers are very popular with home alarm companies to because of their highly reflective characteristics and the ability to be read and recognized in low light areas. 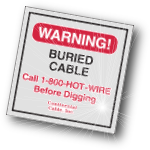 Matching reflective outdoor signs and stakes are on sale for the month of April starting at $3.91 each. For almost 2 decades, deSIGNery Signs has supplied thousands of security companies and alarm companies with high quality reflective window stickers. We have maintained an A+ rating with the BBB Better Business Bureau since joining in May of 2004.